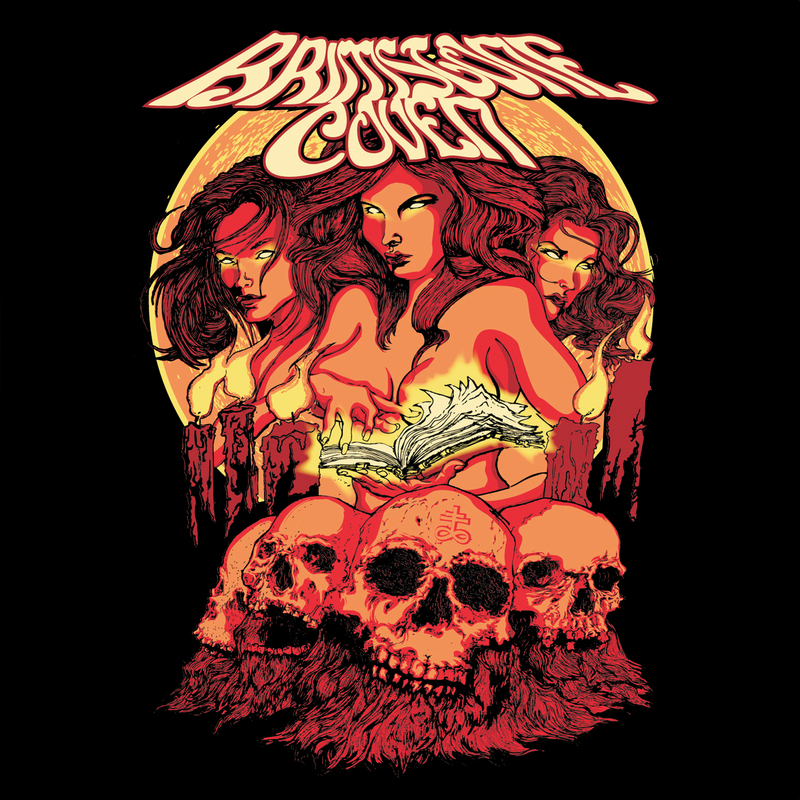 CD Review: Brimstone Coven – “Brimstone Coven” – Burning Fist! Audio • October 10, 2014 October 10, 2014 • Burning Fist! 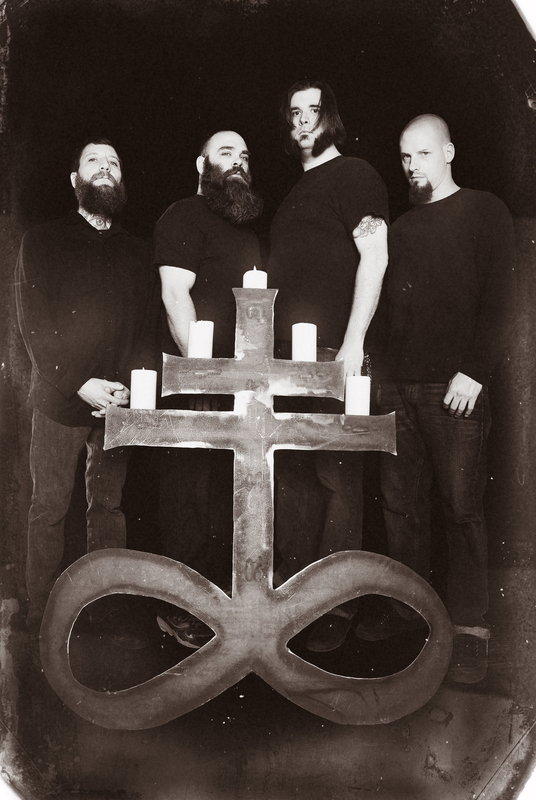 Hailing from Wheeling, West Virginia, Brimstone Coven is a four-piece band made up of Corey Roth (guitar), Andrew D’Cagna (bass), “Big John” Williams (vocals), and Justin Wood (drums). 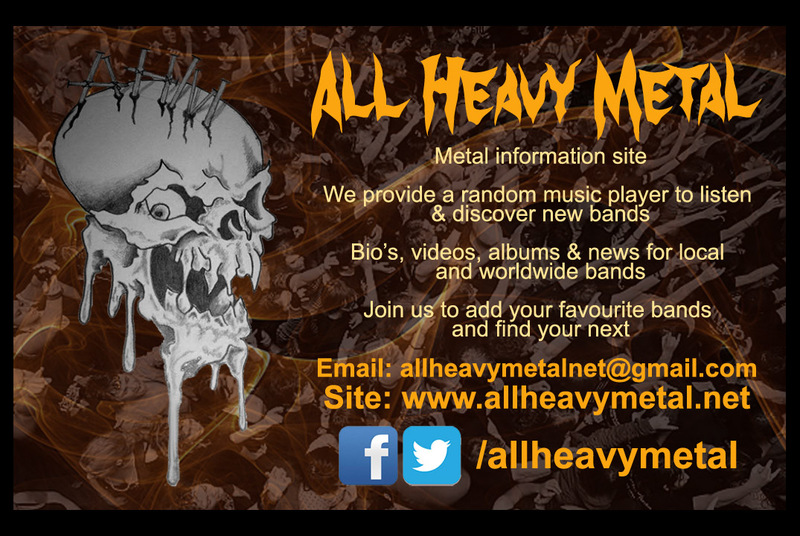 This is a re-packaging of their first album, II, and self-titled E.P., via the people at Metal Blade Records. All seventeen tracks were recorded, mixed & mastered at Sacred Sound, in Martins Ferry, Ohio. A vast stadium-like ambiance is created by the opening guitar riff of “Cosmic Communion”, before a breakdown of upbeat, psychedelic, jazzy blues runs free. By comparison, tracks like “Behold, the Annunaki” and “Blood on the Wall” are beautifully mystical, almost doomy encounters, that also show off the richness of Big John’s vocals. It’s hard not to hear the influence of the likes of Black Sabbath on “The Grave”, I hear Iommi, and that’s not a bad thing at all. One of my only criticisms of this release however, more evident on this song, is the sometimes distorted, crumbly quality to the recording of one of the cymbals. With that being said, the album wouldn’t have felt right if it was overly polished. They tried to get the warm vintage sound in its sweetest spot, and essentially nailed it. If the blatant back-masked vocals that start “The Black Door” don’t bring a grin to your face (particularly once played in reverse), perhaps this album is not going to score positively with you. At its heart, this album is dark, occult-worshipping hard rock that doesn’t overplay an image through theatrics, unlike arguably Ghost. Brimstone Coven have achieved something far more organic. Back to the song though, the use of layered vocals to create a monotonous yet harmonic effect, together with a simple, hypnotic, chugging instrumental rhythm works phenomenally! Closer “The Folly of Faust” is a brilliant slow-burner of an arrangement, with its subtle, chiming guitar parts standing out underneath, but the E.P. portion of the album is flavourful in its own right. Whilst you probably know beforehand what “LoSt in the oDyssey” sounds like, a couple of tracks flesh out this part of the release. The feel good chase sequence, “The Ancients”, and soulful, serene “Son of the Morning” are highs which would sit comfortably next to Led Zeppelin and The Doors, on your playlist. The final sweetener is the artwork on the front, a fantastic tribute to classic horror film poster designs. It’s a cocktail of sorcery, skulls & the carnal, perfectly in sync with the music, and credit goes to artist, Creighton Hill. Posted in ReviewsTagged Brimstone Coven, Classic Doom, Doom, heavy metal, Matt, metal, Metal Blade, Records, Review, West VirginiaBookmark the permalink.